COVINGTON, Ky. -- The trend in craft beer is finally hitting Northern Kentucky, but unlike on the Ohio side of the river, it's getting a boost in growth from craft distilleries -- making it a draw for beer and bourbon lovers alike. Try beer aged in bourbon barrels -- or coffee, for that matter. It's a twist that brings Downtown and Over-the-Rhine customers as well as tourists to the area, to places like Braxton Brewing in Covington or to New Riff Distilling in Newport to taste what Kentucky brings to the table. Brewers and distillers noted an uptick in business in Northern Kentucky during the past couple of years even though new and renewed liquor licenses for Boone, Kenton and Campbell counties have actually declined. There were 2,264 licenses issued in 2014, according to the Kentucky Department of Alcoholic Beverage Control. As of December 2016, that number is 2,030. Although it may mean there are fewer bars and restaurants on the whole, it doesn't reflect the more refined choices in alcohol choices being offered by local breweries and distilleries. "From our perspective, there are national trends happening that are being reflected in Northern Kentucky," said Hannah Lowen, general manager at New Riff Distilling and Ei8ht Ball Beer in Newport. "People have a much more vested interest in what they're putting in their bodies -- what they're eating and drinking," Lowen said. That draws people to try the craft and independent distilleries. Unlike breweries, who try to show that they're better than the big beer companies such as Miller Coors or Anheuser-Busch, distilleries are just trying to make a niche for themselves, she said. "They've been making bourbon in Kentucky for 200 years -- that's not new. And they do it very well." According to the Kentucky Distillers Association, 95 percent of all bourbon is made in Kentucky. Like beer, consumers are going to find the product at bars and restaurants. Most distilleries have tasting rooms and can now serve full-size drinks, though most distilleries, such as New Riff, aren't going to be the Friday night place to go, Lowen said. New Riff will begin its $7.5 million project in 2017, renovating the original Green Line Bus buildings in Newport and building a 17,300-square-foot building for a rickhouse -- where the barrels are stored. That first phase will be a spot where tourists can see barrels and packaging, Lowen said. Sara Barnes, event coordinator for Boone County Distilling Co., said they've seen significant traffic since they opened for tours about eight weeks ago, even though they'd had drop-in traffic before. The distillery has been open for a year and has about 500 barrels aging. Its oldest is a 10-year-old bourbon that was acquired from the old Seagram's plant in Lawrenceburg, Indiana, she said. Demand is up for craft bourbon and whiskey, she said. Boone County Distilling plans to double its distilling in 2017. And it's hoping to be on the Kentucky craft tour in January. Plans are to eventually enlarge the facility and add an event center. Also in 2017, Peter Newberry, owner of Newberry Bros. Coffee and bar, plans on opening a distillery to make its own bourbon in 2017. 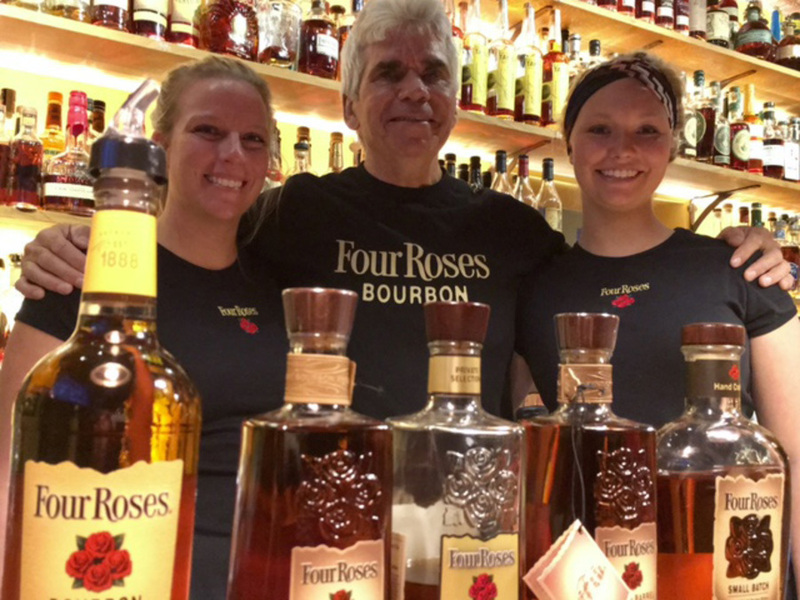 Newberry has found success in being a specialist in bourbon. He brags that his bar offers the most varieties in the world, and the distillery as a next step is a natural for them. "Bourbon drinking is a big trend," said Newberry, who credits new craft distilleries for putting it back on people's radar. Second Site Spirits got its start earlier this year, and is currently offering rum and moonshine, said Carus Waggoner, one of the owners. They recently got a grant to help expand the tasting room and add a small event space. The spirits are offered in 90 locations, and they've got bourbon aging that will be added to the lineup when it's ready, Waggoner said. Like New Riff, Second Site is on the Cincy Bourbon Bus tour and they're hoping to be added to the Kentucky Bourbon Trail Craft Tour. There appears to be a bourbon for everyone, and no one wants to say what's best. "Bourbon is like religion," said Waggoner. "They go to war over it." Unlike Cincinnati, which now boasts more than 30 craft-beer breweries, beer development in Northern Kentucky has been slower. A handful of breweries have joined the long-standing Hofbrauhaus in Newport, including Ei8htball and Wooden Cask in Newport, Braxton Brewing in Covington and Darkness Brewing in Bellevue. At least one other brewery, Bircus Brewing Company, hopes to get a start in Ludlow in 2017. According to the Brewers Association, Kentucky has 24 craft breweries, putting it in 46th place among all states, compared to 127 in Ohio, which is in 27th place. Braxton Brewing's marketing director, Jonathan Gandolf, said craft beer is a draw for all ages. They're seeing a mix of old-timers and young professionals coming to the bar, he said. The company saw an opportunity to open a brewery in a state where bourbon is the go-to, but Braxton was welcomed with opened arms in 2015, he said. In a year and a half, the brewery is at full capacity for fermentation, he said. Braxton distributes across Cincinnati and Kentucky, and is seeing a growing crowd in the bar. "We're growing so fast," he said, "and we're trying to figure out how to grow smart." Braxton opens at 8 a.m., which is a little too early for beer, he said. So they've partnered with Carabello's in Newport to offer bourbon-aged coffee in the morning. The newest brewery in Northern Kentucky, Wooden Cask Brewing Company in Newport, opened in November. Owner Randy Schiltz said educating customers is part of the experience. "They learn that they like the full-flavored beers," he said. "I ask them, 'Do you like chocolate and coffee? Then try this.' And they really like it." Beers sales are good at Ei8htball, said Lowen. "We're maxed out in production," she said. "We're kind of weighing our options for what we want to do next." Coming up is beer aged in a copper barrel from Copper and Kings in Louisville. "We filled (the barrel) with whiskey and we'll let that age for six months. It will go to beer next." Bircus is being launched by Paul Miller, owner of Circus Mojo. He has been seeking investors and promises that restaurants and bars that eventually pour his beer will have access to free "world-class circus entertainment" as part of his pitch. "It's a means to an end for me," he said. "(Circus performers) will be performing to support the brewery. We feel really strongly that this will drive butts in the seats (for Circus Mojo)." "Beer is a lot easier to sell than circus," he laughs. "I've been able to get investors because if you can sell circus in Ludlow, then you can sell beer in Cincinnati." There may be fewer breweries in Northern Kentucky, but the customers come from everywhere, said Lowen. "They start at Braxton, then go to Ei8ht Ball, then across the river." The more breweries, the more the draw. "It's a busy and fun time," she said.